Date ideas for you and your loved one. With Valentine’s Day just around the corner, many people find themselves looking for some exciting and romantic date ideas to partake in with their significant others. Fortunately, there are all kinds of wonderful date ideas that you can enjoy with your love during this upcoming holiday. 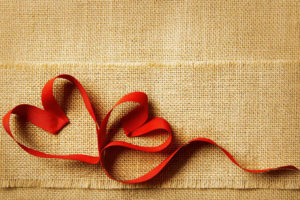 Check out these Valentine’s Day ideas for some inspiration on how you can wow your special someone. Consider going out to dinner to your significant other’s favorite restaurant. If you are of legal age, order glasses of wine and enjoy a nice dessert as well. Then, decide on a movie that you will both enjoy for the perfect romantic evening. While it’s a simple date idea, it never fails to connect two people! Looking to get away on a mini-vacation without having to go too far? Consider booking a suite at a local hotel with a pool, hot tub, and spa for ultimate pampering. Then, enjoy a romantic night in by ordering room service. If you and your spouse are rarely together on weeknights, choose to make Valentine’s Day a special occasion to spend some quality time with one another. Cook your favorite meal together and spend time catching up about each other’s days. A budget-friendly outing is to explore the natural landscape around your local area. Take a hike during the day or head to nearest park or beach to stroll and spend time with each other. Handholding, chocolate, and cozy clothing – ice-skating is a great way to connect and have fun! An hour of ice-skating is sure to end with laughter and love. What better way to relax on this romantic holiday than starting it off with a massage and spa? Enjoy the resort’s amenities for the day before heading out for a romantic dinner. We hope that you and your partner have a wonderful Valentine’s Day! For all of your insurance needs in New Haven and surrounding cities in Connecticut, visit Abbate Insurance today.